Whether you bring your own bike or hire one here cycling round Cumbrae has become almost a compulsory activity for summer visitors. 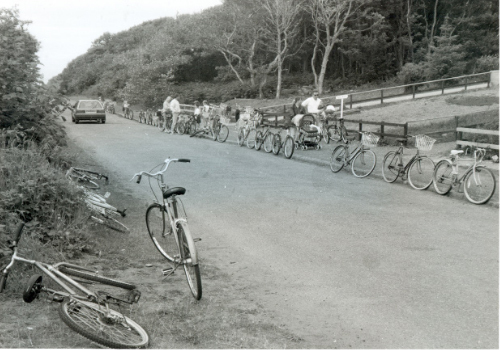 For generations the ten and a half mile road around the island has provided a welcome bit of exercise and fresh sea air. 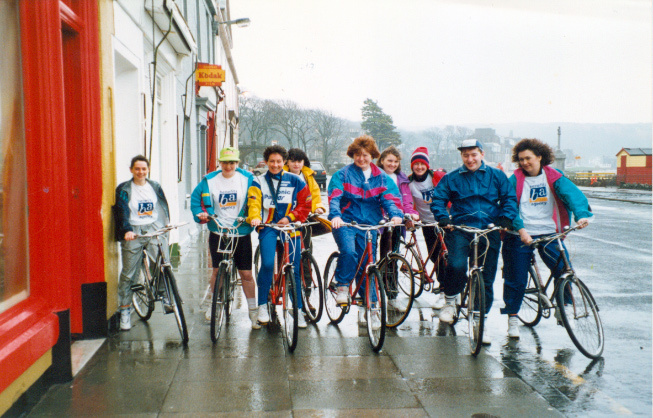 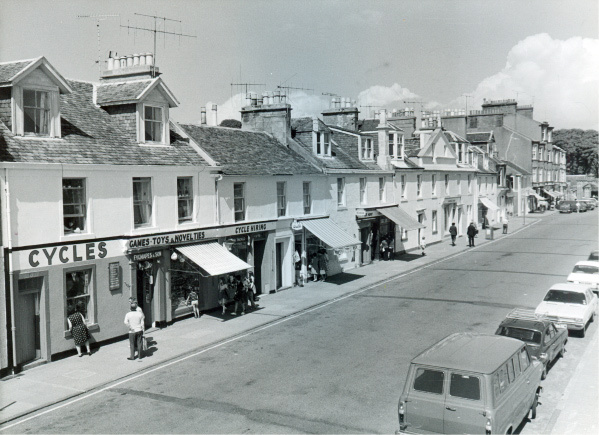 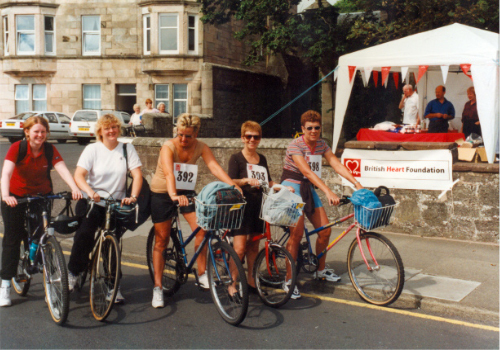 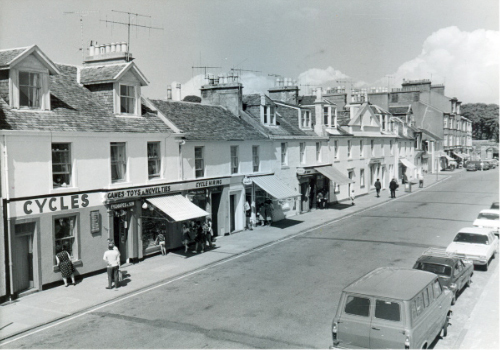 The first bike hire shop in Millport opened in 1936 and there have been shops ever since. 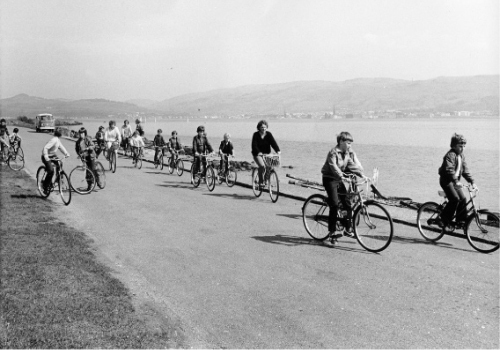 Today there are 1000 bikes for hire of every type and size. Outside of Millport the road is flat and almost car-free making it ideal for families to cycle on. 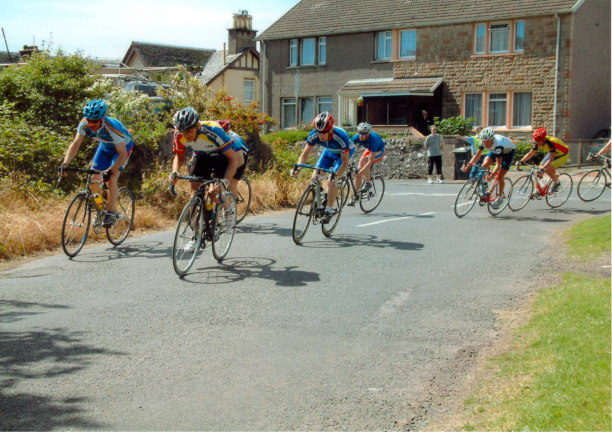 However, there are more challenging routes over the Ferry Road and up to the Mineral Well and Glead Stane on the top of the island.